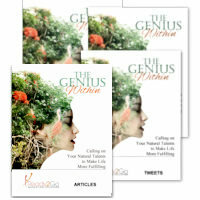 Starter Package: The Genius Within - Calling on Your Natural Talents to make a Life More Fulfilling from Ready2Go Marketing Solutions, Inc.
Do you work with clients who wonder if there is more to life than what they now know? Do they look on with puzzlement as they see others clearly living their destiny, and wonder how they can do the same? Are they uncertain as to what steps to take to embrace their true selves and live their ultimate purpose? If so, then The Genius Within Starter Pack is the right choice! Through the special report, articles, success tips and tweets, your clients and prospects will unlock the genius inside them to create a new direction, bring their dreams alive and inspire others to do the same. This starter pack is filled with more than 20 pages of tips & wisdom your clients can use TODAY to navigate the challenges of life with ease, both at home and in the office. 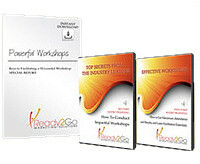 Through this product your clients will become more focused, aware and excited about discovering their genius within.